The Government on Thursday asked all airlines to keep a record of CO2 emissions from international flights from the next year and submit a report on it. The Directorate General of Civil Aviation has also drafted the rules and invited suggestions and comments on them. According to the draft rules, all airlines which have international routes will collect their fuel consumption data and submit a report on annual carbon emissions from January 1, 2019. In October 2016, the International Civil Aviation Organization (ICAO) had agreed on a Resolution for a global market-based measure to address CO2 emissions from international aviation from 2021 to 2035. The DGCA would frame rules under this for the first time. 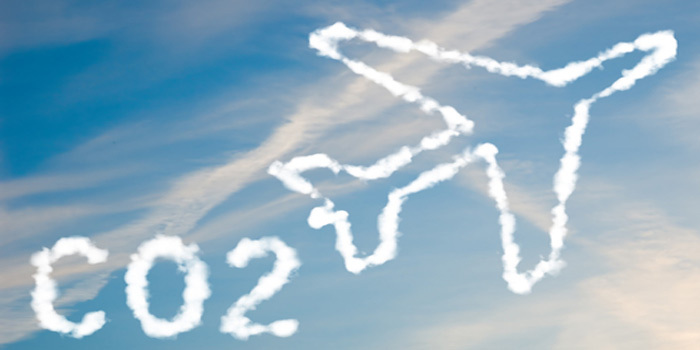 The Carbon Offsetting and Reduction Scheme for International Aviation (CORSIA), which aims to stabilise CO2 emissions at 2020 levels, would keep an eye on all international flights. The Crosia was approved by the IKA Council on June 27, 2018. Data of all international routes collected in 2019 and 2010 will be sent to IKAO which in turn will formulate a data on CO2 emissions. This will decide the development of the aviation sector.